An original and terrifying mystery by noir writer Fredric BrownOnce upon a time, a girl named Jenny Ames was murdered in a lonely house. No one knew where she had come from, or why she had died, or who killed her. Years later, a man moved into the same house—and discovered that nothing is more seductive than an unsolved murder. 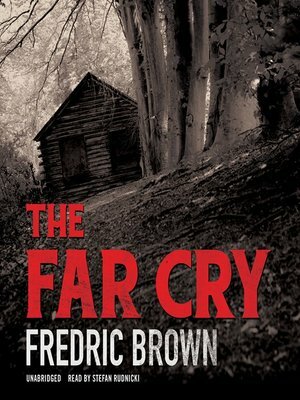 The Far Cry is another top Fredric Brown job—a most adroit, inventive, and utterly horrifying mystery.